This is probably my last big book sale this year so don’t miss the change to get a .99 cent book. Cowboys – need I say more? There is nothing like a good western on a Sunday afternoon. 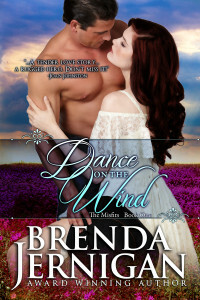 Dance on the Wind is on sale for .99 until August 14th. Hope you will enjoy the beginning of The Misfit series. Here is a little peek at the book. Thunder had little choice but to sleep in his clothes since his gear hadn’t been sent over. Ward had promised to bring a few of his things over today. Of course, Thunder would prefer a bedroll under a starlit sky, but white men seemed to like soft beds. He hated to admit it, but he had slept well last night, soft bed or not. He rubbed his jaw, then stretched. He was surprised he hadn’t awakened in a bad mood today. His disposition was far from being sour. He attributed everything to the fact that he had been so tired. There wasn’t much of a possibility he liked it here, especially when he was being forced to do something against his will. One thing he knew for sure: he was hungry. 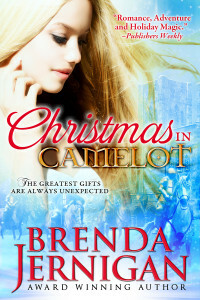 Deciding it was time for breakfast and hoping the meal was ready, Thunder pulled on his black cavalry boots. He could use some good food this morning. He stepped out into the courtyard ready to inhale the fresh morning air, but something tainted it. Gray clouds of smoke filtered out of the small cookhouse. 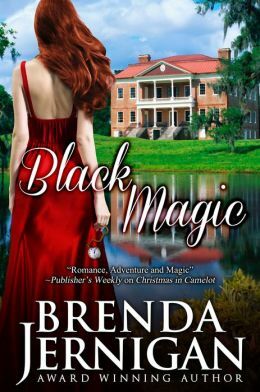 Wasting little time, Thunder ran to the kitchen door just in time to hear Brandy swearing from somewhere in the midst of the grayish-white haze. “I take it you don’t have much experience with cooking,” Thunder said from the doorway. In two long strides, Thunder stood beside her. He took the pan from her hand and tossed it into the sink. He jerked open the window and began to fan the fumes outside. As the haze cleared, he looked down at the griddle to find a small piece of something black Evidently, that had been breakfast. Thunder looked up. 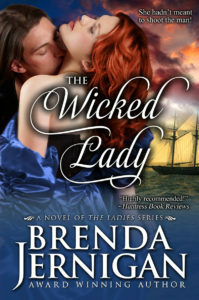 The first thing he noticed was she’d forgotten to put her hair up, and wisps of it clung to her damp face. She had a smudge of flour across her cheek, and her eyes were red. She looked like she’d been in a battle this morning, and she definitely hadn’t been the victor. “That’s not funny!” Brandy snapped and straightened her stance to show her irritation. Brandy ignored his sarcasm and watched as he made breakfast look like something a child could do. Brandy didn’t understand his statement about his grandparents. And she wondered why his mood had changed so quickly. He seemed insulted. She wanted to inform him that she hadn’t meant to offend him at all, but before she could, Scott, Ellen, and Amy entered the kitchen. “Sure have.” Scott put his hands around his throat, pretending he was choking. “I’m sure there are other women in this country who can’t cook besides me. And I don’t see your ribs showing,” Brandy protested primly. “It’s a long story.” Brandy wasn’t about to tell the children what had happened. They already thought her useless as it was. “Who are you?” Scott must have finally noticed Thunder for the first time. Evidently Mary hadn’t told the rest of the children about their new guest last night, Brandy thought. Ellen set Amy on a high stool, then took her seat beside Scott. She watched Thunder suspiciously. However, she remained quiet. Amy nodded her head as her chubby little hand reached for the fork. “Silver eyes,” she said, looking up at Thunder. The door banged open, announcing Mary’s entrance. Her gaze darted to the table. “Good. I don’t have to cook.” She sauntered over and poured a cup of hot coffee, then took her place at the table. “Would you like some hotcakes?” Brandy asked. “Not if you cooked them” Mary answered sullenly. Thunder watched the sulking young lady but remained silent. The girl definitely needed her manners improved, he thought. “You mean Brandy talked you into helping us?” Billy’s surprise showed on his face. “Great! A prisoner. Just what we need,” Mary muttered. “Yeah. That’s what I thought,” Thunder answered sarcastically. Then he, too, joined them at the table. “You don’t like us, Mr. Thunder?” Scott asked. He seemed disappointed.